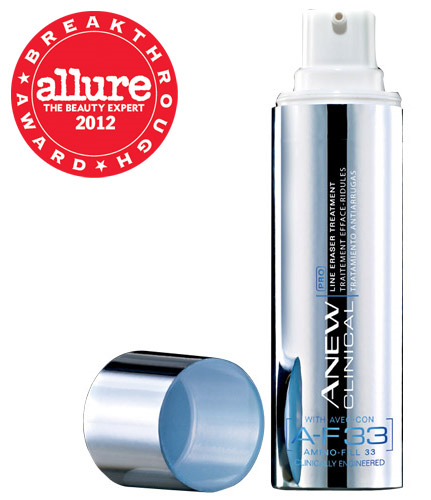 Anew Clinical Pro Line Eraser with patented A-F33 (Amino-Fill 33)—the anti-aging breakthrough of the decade! A-F33 works unlike potent anti-agers AHA, retinol, injectable collagen. The look of deep wrinkles begin to fade in just one week. 100% of women showed visible improvement in fine wrinkles in 2 weeks. Over time, 27% improvement in the appearance of fine and deep wrinkles. Designed to work with any ANEW skin care regimen to help optimize results. 1 oz. net wt. WARNING: Some individuals may not be comfortable using this product especially in the eye area. Try using more sparingly or less frequently until your skin accommodates. For external use only. Keep out of reach of children.